We assure that one hour tour on Dubai marina cruise along the coastline of the Persian Gulf will be the most giving hour of your tour of Dubai. The Persian Gulf has all to say about the modern and historical tints of Dubai. Marina raise Dubai gives you the opportunity to enriched views of the Jumeirah beach, the Marina Mall, the Sheikh’s Boatyard will let you experience the story of Dubai in the most striking way while sitting in Dubai Dhow Cruise. Choose your favorite hour of the day and get ready to get what you were expecting from dazzling Dubai through Dubai marina dhow cruise tour. 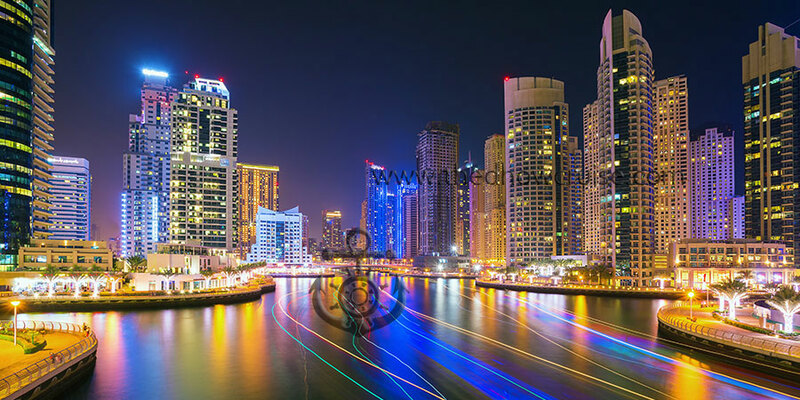 Sheikh's Boatyard, Dubai Marina, Dubai Marina Mall, Jumeirah Beach Residence. (views of landmarks are subject to weather conditions). Enjoy a romantic moon light dinner on a Dhow Cruise that takes your across Dubai creek. Enjoy Dubai marina dhow cruise dinner where majestic moon light shines on far edge of the sea along the Dubai marina skyline. An hour of sight seeing across the banks of Dubai creek. A wonderful way to explore the city of Dubai.